Ford’s PHEV is surprisingly reasonably priced. Three model years passed by and I finally got behind the wheel again of a Ford Fusion. Just like the last time, this model was the Fusion Energi, a plug-in hybrid electric vehicle based on Ford’s popular midsize car. 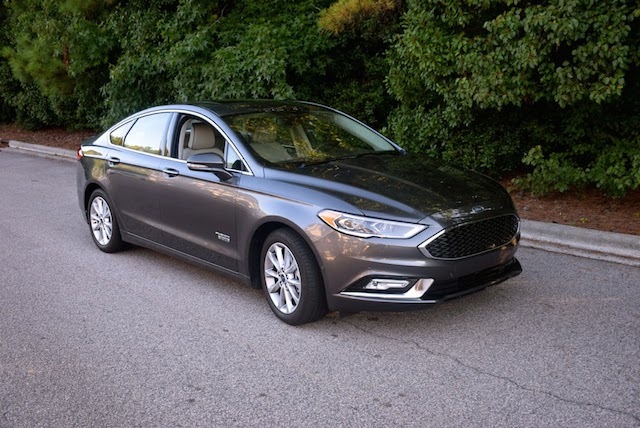 Now in its fifth model year, the 2017 Fusion Energi is a close match to the standard hybrid model as well as to the gasoline version. Besides the electric charging port located just ahead of the driver’s door, the other differences have to do with badging — you’ll find Fusion Energi markups on the exterior as well as inside the sedan. And that’s a good thing too — the Fusion is already an attractive model and no styling differentiation is warranted. Some manufacturers opt for silly looking grilles or other embellishments to distinguish gas and hybrid models. On the other hand, it seems Ford decided that a near uniform look for all Fusion models is entirely sufficient. The 2017 version welcomes a third trim level, Platinum, joining the current SE and Titanium editions. Also new this year is the grille, exterior LED lighting, and SYNC 3 infotainment system. All models now come with an 11-speaker audio system and a new rotary transmission selector. What hasn’t changed is the 2.0-liter, four-cylinder engine powering this model nor the permanent-magnet AC-synchronous electric motor or the lithium-ion battery. Also present is an electronically controlled continuously variable transmission to turn the front wheels. Selling hybrids is a difficult proposition, especially when gasoline prices are hovering around $2 per gallon. Yet, manufacturers must consider the long-term outlook as fuel prices are likely to eventually climb. Further, despite the likelihood the current 54.5 mpg corporate average fuel economy (CAFE) mandate is in jeopardy, the internal combustion engine will one day go away. At least with hybrids, you get a bridge between gasoline and electric. And in PHEVs, you enjoy a lengthy electric-only mode — 21 miles in the Fusion Energi when it is fully charged. Some consumers may be concerned that the Fusion Energi doesn’t have the power to move this sizable midsize sedan. But this model weighs in just under 4,000 pounds, which is about 1,000 less than a comparable SUV. The Fusion Energi makes 188 horsepower and in electric-only mode it also delivers copious amounts of twist. Not once did I find myself wishing for more power nor did I serve up complaints about torque steer —understeer is only slight and it immediately corrects itself when it shows up. Ford prices the 2017 Fusion Energi from $31,120 for the SE edition, $32,120 for the Titanium, and $39,120 for the Platinum model. The big jump in price between the second and third trims can be ascribed to one important fact: every conceivable option offered elsewhere is included here. Ford’s hybrid pricing has held steady or fallen over the years. Add in the available $4,007 federal tax credit and further savings can be had. 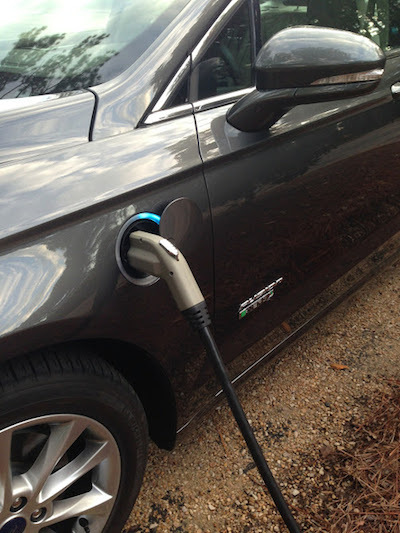 In some states, PHEV owners are eligible for additional credits or rebates. Such credits or rebates apply to PHEVs only — standard hybrids are not eligible. Boil it all down and the Fusion Energi could cost you nearly the same price as an equivalent gasoline model, perhaps less. A long list of standard features is found in the Fusion Energi. All models are equipped with power accessories, an 11-speaker audio system with a CD player, MP3 capability, and a 6-month satellite radio subscription. You also get 17-inch wheels, power heated side mirrors, dual-zone climate control, remote start, push-button start, leather seats, heated front seats, three 12-volt power points, a 110-volt outlet, and a reverse sensing system. The available features bring this model up a full notch, especially in the Platinum edition. Here, you get adaptive cruise control, blind spot information system, inflatable rear outboard safety belts, a power moonroof, and a voice-activated navigation system. The safety features build on a standard safety package comprised of remote keyless entry, a rearview camera, a post-crash alert system, and a suite of airbags. What sets the Fusion Energi Platinum apart from the rest isn’t just the added features. This model supplies leather nearly everywhere — across the dashboard, on the seats, upon the door inlays, surrounding the center stack, and beyond. 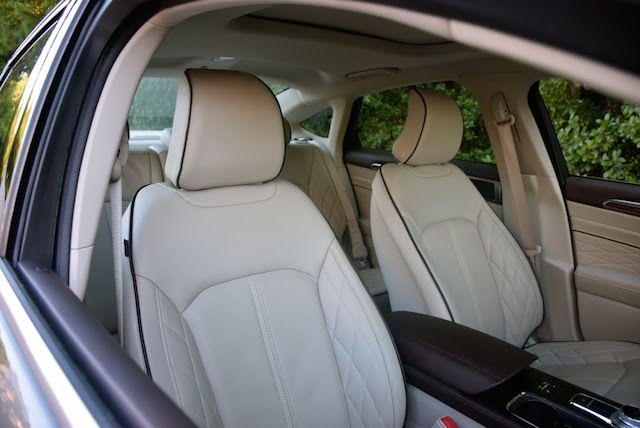 And quilted leather at that — at least on the seats. I said this before regarding the Ford Explorer Platinum — the luxury level here seems as if Lincoln’s designers were tasked with the project. To the great relief of many, all Fusion models now have SYNC 3 — the latest generation of Ford’s infotainment system. The first system rolled out in the 2008 Focus and then spread to other models. Later, it was updated and paired with MyFord Touch. 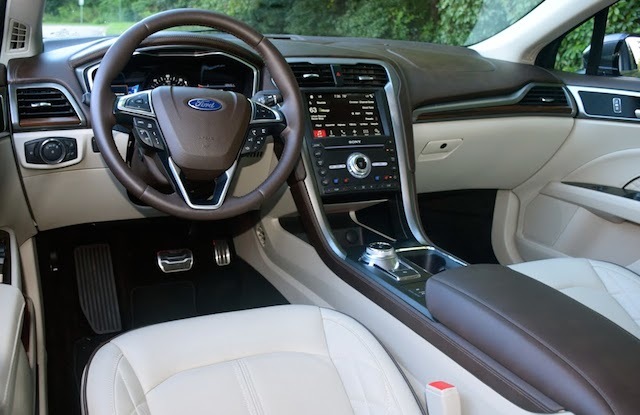 The MyFord Touch and second-generation SYNC system were widely panned and for good reason: it was a complicated arrangement and a headache for owners. SYNC 3 is the cure Ford needed and this system is far superior to what once was. The color display features understandable apps and is compatible with Apple CarPlay and Android Auto. I own an iPhone 5 and the pairing is excellent — some of the SYNC functions are replaced by my SIRI-driven iPhone, while other features are left alone. Together, the pairing is pleasing and makes me want to forget (almost) the previous arrangement. The big question many ask about the Fusion Energi is this one: how does it perform on the road? Perhaps another question to ask is — how does it perform when the battery is fully charged? As what usually happens, the Fusion Energi arrived at my home with the battery fully discharged. This is understandable as bringing a car more than 150 miles from the distributor means the electricity has been long depleted, if it was used at all. And that’s the beauty of the system: when you charge the system, you can click on a switch located between the seats and reserve that option for later. So, travel around town on electric power only and let the gasoline energy do all the work on the highway. 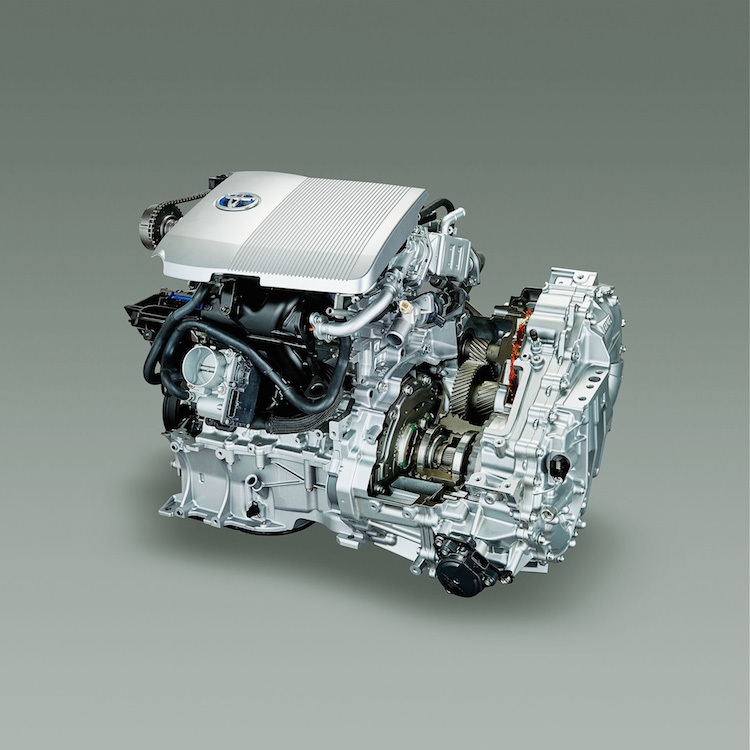 Even when driving in gasoline mode, the battery is replenished by the brakes as well as by the engine. One thing I don’t do is connect visiting PHEVs to my home’s outlet. For one reason, the outlet is simply too far away. For another reason, I have a 110-volt outlet. It is best to charge with at least a 240-volt outlet, otherwise, you’ll need to connect for 6.5 hours simply to get a 21-mile electric range. Most of my driving was conducted in one day as I made the trip from my home in Cary, North Carolina, to downtown Pinehurst. I chose the Pinehurst location because it is about 60 miles from my home. It also has a pair of public charging stations, so I quickly connected when I arrived on the scene early one morning. To my surprise, the car was fully recharged in about three and one-half hours and that meant I could go to my next location, Pittsboro, and charge it again at Central Carolina Community College. CCCC has two charging stations too, and they’re typically busy. When I arrived there was one car connected, so I made the charge. Three hours later I was on the road again, this time returning to Cary. I considered charging again, this time at one of the three public charging locations in my town, but the day was late. Besides, after my initial 60-mile jaunt, I traveled 53 miles from Pinehurst to Pittsboro and then another 33 miles to my home in Cary. All told, I drove about 150 miles, including 42 miles of electric-only power. I was able to replenish the battery only twice during my week with the Fusion Energi. After nearly 300 miles of drive time, I managed to maintain a 42.3 mpg average, just above the 42 mpg EPA projection. That’s much better than the 25 mpg average for a similarly equipped gasoline Fusion. 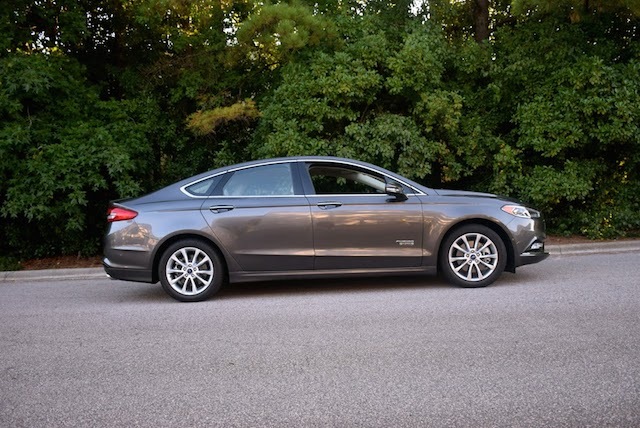 As for the driving characteristics, the Fusion Energi handles fine as it utilizes electric power-assisted steering. I mentioned the negligible torque steer earlier. The ride is soft, the brakes are firm, and the interior is quiet. My overall impressions of the Energi Platinum are that it matches well with some luxury cars and delivers fuel economy that beats nearly every small car on the road. Of course, some won’t take kindly to the price premium you’ll pay for a PHEV. But that amount is now quite small — just $1,600 more for the Energi Titanium (versus the standard Titanium) and $2,600 more for the plug-in Platinum versus the gas model. If you qualify for the federal rebate you’ll actually come out ahead in the purchase proposition. If not, you’ll enjoy upwards of 17 mpg advantage in fuel economy — that’s money you’ll save at the pump with fewer fill-ups. 2017 Ford Fusion Energi photos copyright Auto Trends Magazine.